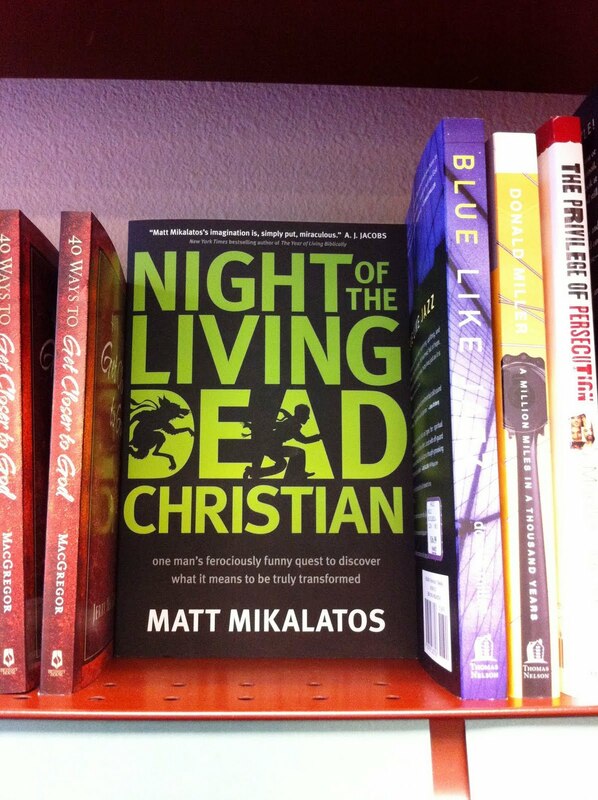 Matt Mikalatos: Wild Living Dead Christian Sighting! 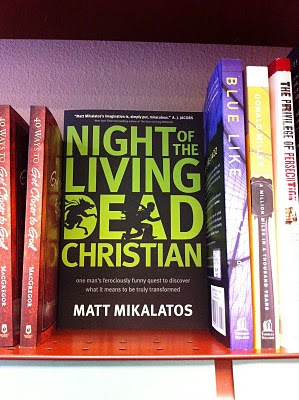 Sent in by Matt Tory, an all around nice guy and a Family Christian Store sales associate in Folsom, CA since 2009, we see this lovely beast in its natural habitat.NOTE: The Family Christian Stores have NLDC out on the shelves RIGHT NOW! So if you can't wait for it, now is you chance to jump in the car or ride your bike or skateboard or taxi or hover board out to a Family Christian Store to purchase this book. Notice that the book is in the preferred "cover out" position. Excellent! You may note the conspicuous lack of Amish romance novels around NLDC. What's this? Have my books moved to a new neighborhood? Indeed they have. Tyndale changed the description of the book so that it would be shelved a little closer to Don Miller and a little farther from "How Softly The Corn Silk Blows In the Wind That Broke My Heart." I think that was a smart decision! If you see Mr. Tory on your trip to Family Christian Store, be sure to listen for his trademark catchphrase, "I bag yo Bibles!" I mean, how could someone NOT stop and buy that book all up in the face and screaming out in such a way. That cover is a great one. Really. They did you right mon frere. I totally agree. Thanks for the kind words! love this! Can't wait to read it.